Brother of the famous Tommy Steele - Colin Hicks & his band, the Cabin Boys produced some excellent Rock 'n' Roll. 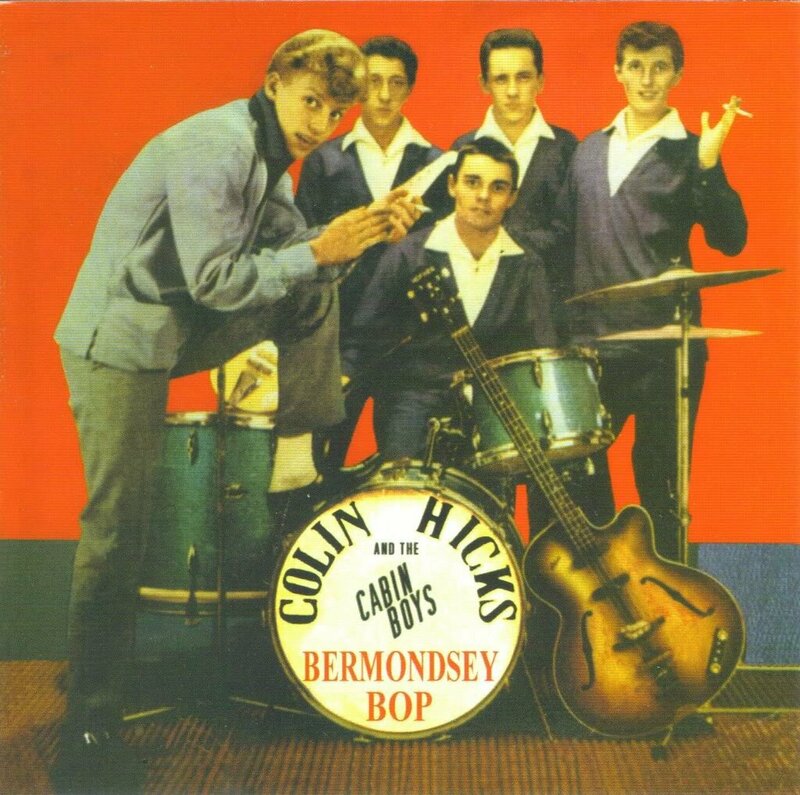 Colin Hicks is the younger brother of British rock'n' roll pioneer Tommy Hicks aka Tommy Steele. Colin never sold many records despite following Tommy's footsteps to the famous 2-'I's coffee bar in Soho London. Tommy Steele's manager, John Kennedy, signed him up to sing in a nightclub in London's posh Mayfair district. Later Bobby Green arranged an audition for Colin's backing group The Cabin Boys. In November 1957, the British music magazine, NME, reported that Larry Parnes, Tommy Steele's Manager, had signed up his brother Colin Hicks, and that Colin would undertake a ten week variety tour with Marty Wilde. In March the following year, the same source stated that Colin Hicks and Marty Wilde were fulfilling contracted dates, left after Terry Dene had been diagnosed as unfit to continue touring. In 1958 they had some television appearances, and a recording contract with Pye Records, and released a few singles with the label. However, he did not achieve the same level of success as his brother. 1959 Colin Hicks & The Cabin Boys appeared in the Italian film Europa Di Notte (Europe By Night / Nuits D'Europe ) with Giddy Up A Ding Dong, which had proved to be a big hit in Italy, resulting in a lucrative invitation to tour there. The Cabin Brothers consisted of Jimmie Nicol (drums), Mike O'Neill (piano), Dave 'Zom' Tick (lead gt.) and Rod 'Boots' Slade (bass gt). In Italy they had rave reviews about their rock'n'roll show, the Italians loved them and Colin and his group recorded eight songs for the Italian Broadway label. Broadway Int. 1022 1959 Brand New Cadillac / ?